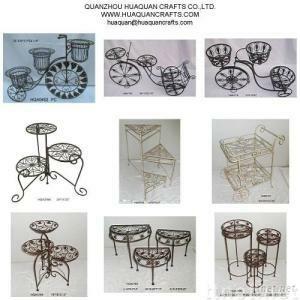 Quanzhou Huaquan Crafts Co., Ltd.
China Supplier, Garden Supplies, Home Supplies of bike plant stand, flower pot plant, flower rack, etc. Quanzhou Huaquan Crafts Co.,Ltd has longterm and traditional experience in manufacturing various metal gardening and outdoor accessories, houseware and home decor for more than 8 years. Sincerely hope to establish business relationship with you in the future.